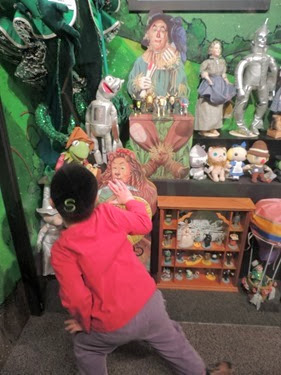 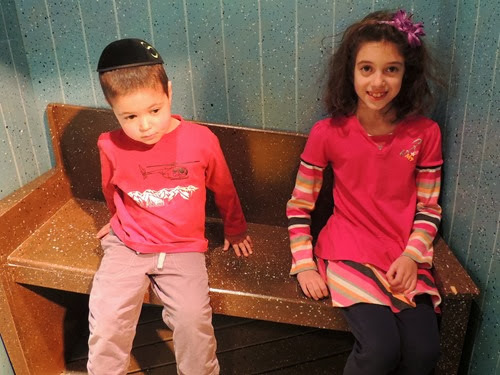 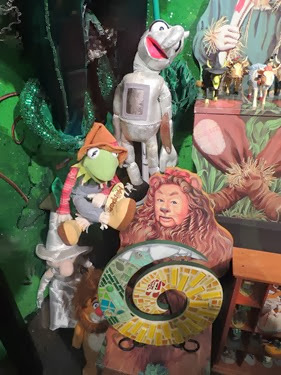 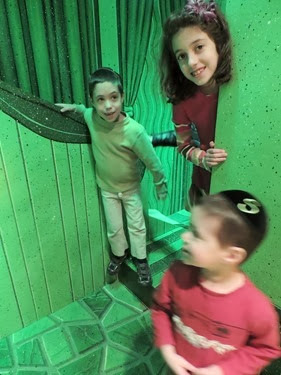 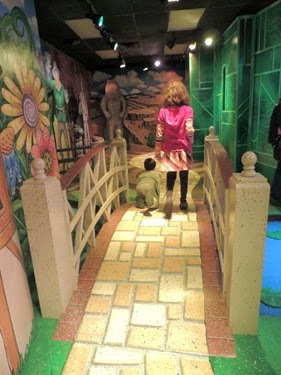 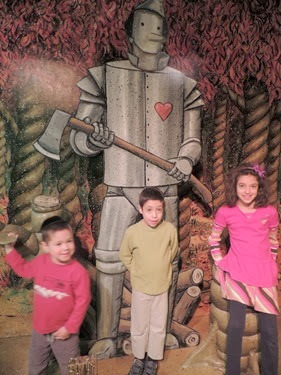 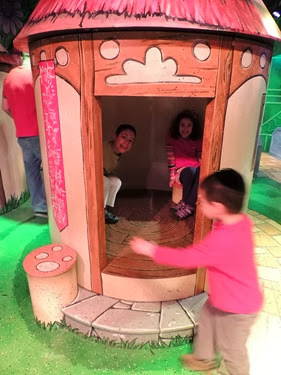 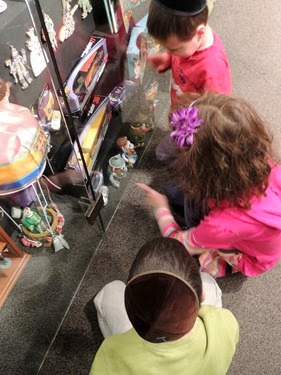 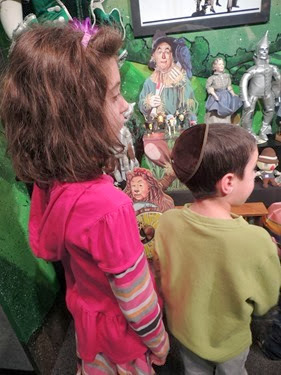 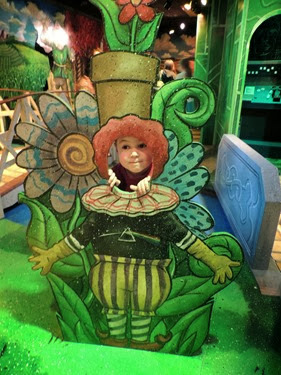 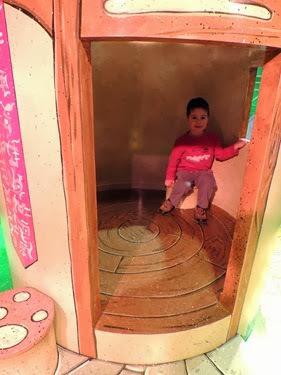 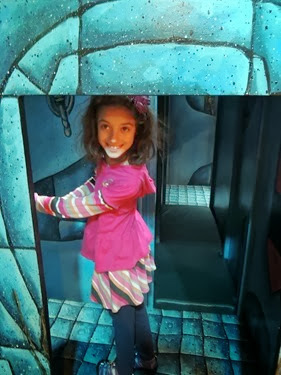 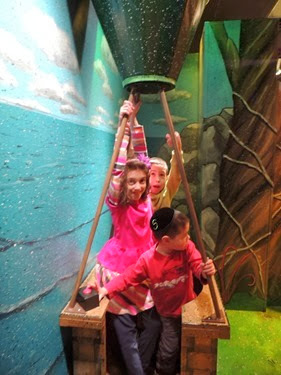 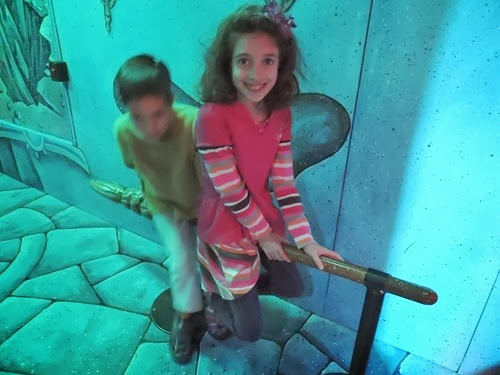 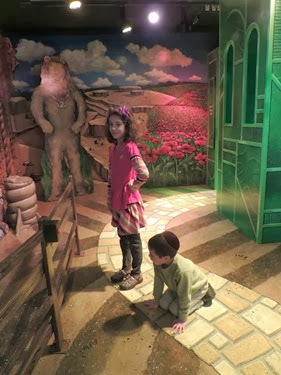 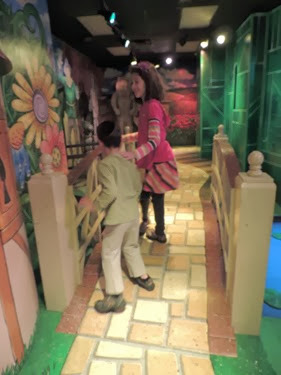 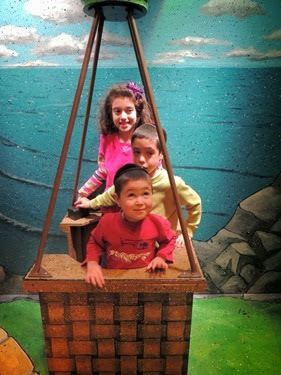 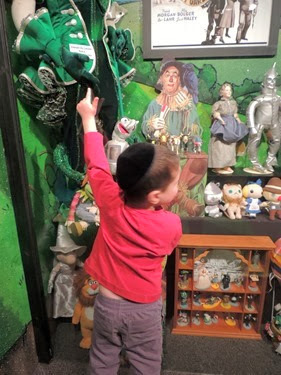 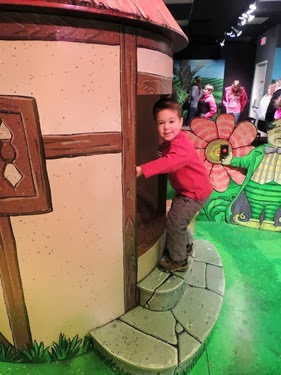 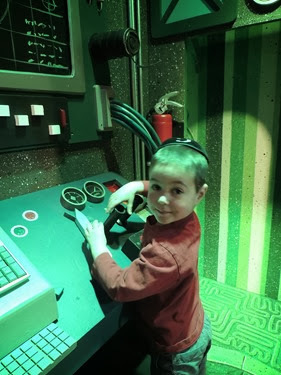 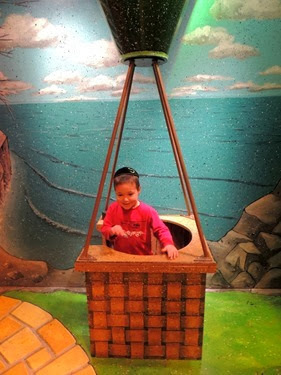 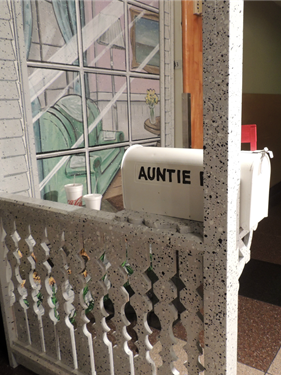 Last weekend, we went to Crown Center to check out their new kids’ area exhibit, 75 Years of Oz, Oh My! 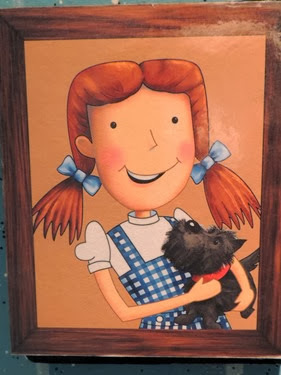 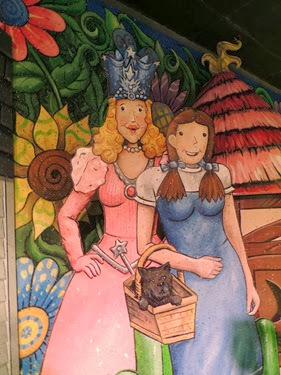 According to their website, “There’s no place like Crown Center to celebrate the 75th anniversary of America’s favorite movie, ‘The Wizard of Oz.’ Trace Dorothy’s footsteps through the Land of Oz: from the moment her house plops down in Munchkin Land until she clicks her ruby red slippers to return to Kansas. 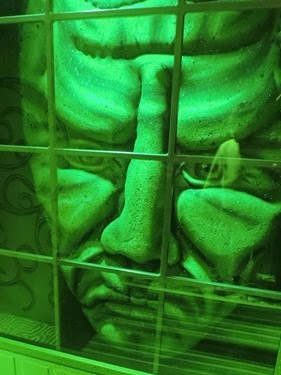 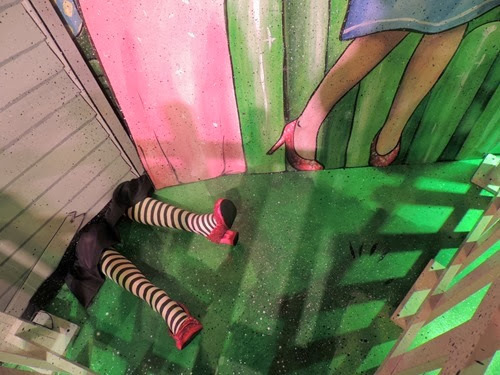 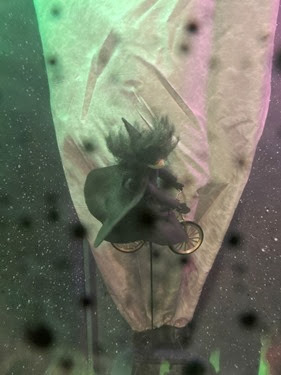 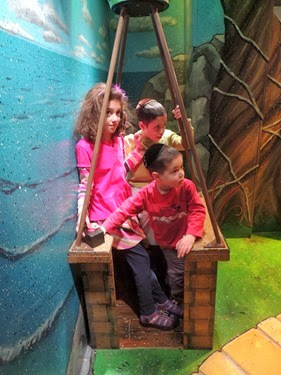 Along the yellow brick road, families can tour the enchanting world of the Munchkins, meet up with the Scarecrow, the Tin Man and the Cowardly Lion, as well as locate the Wizard in the Emerald City and sneak inside the Wicked Witch’s eerie castle. 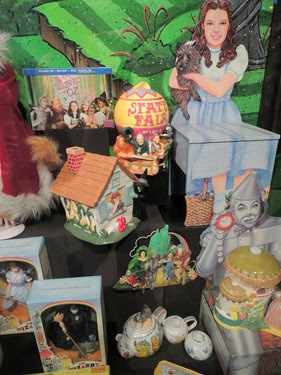 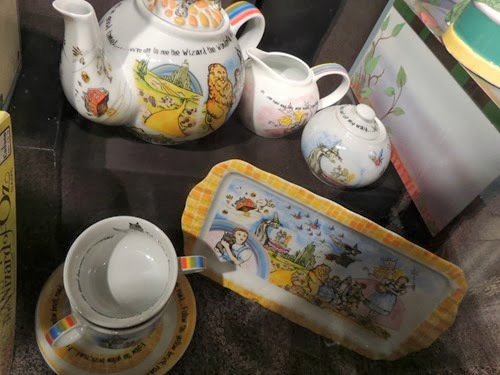 A section of the exhibit will showcase Oz memorabilia from local Oz enthusiast Jane Albright.” The exhibit runs from Feb 1st – May 4th. 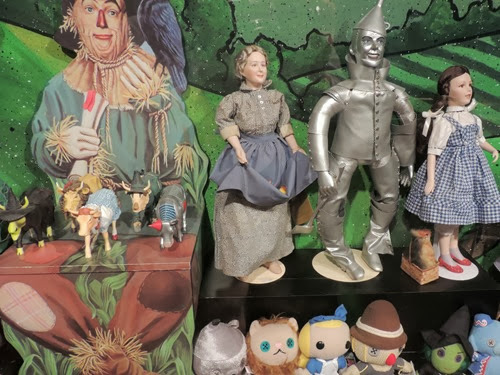 Are you a Wizard of Oz fan?